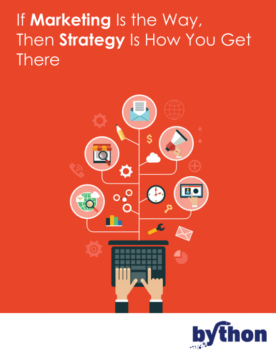 Creating a strategy is the first step toward executing a successful marketing plan. Without it, your marketing efforts risk failing to achieve any benefit for your company. Creating a comprehensive integrated strategy tailored for your goals and industry is easy if you know which steps to take. Download this simple-to-follow whitepaper to learn how to start. To discover how Bython can help you with Marketing Strategy, go here or contact us today. The evolving digital landscape makes it necessary for marketers to not only fuel the top of the sales funnel, but also be involved throughout the entire journey. 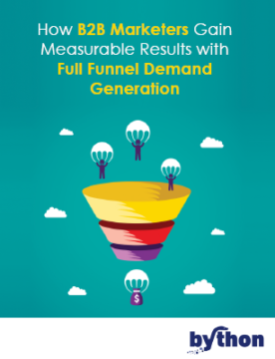 This process is called full-funnel demand generation and many businesses are beginning to understand why it is so important in business today. To learn how it can improve your business and sales, download this informative whitepaper. To discover how Bython can help you with Demand Generation, go here or contact us today. 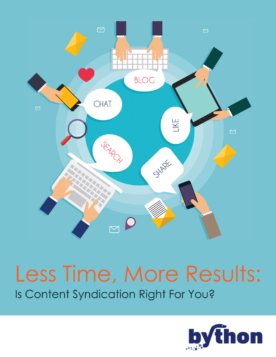 Is Content Syndication Right for You? To ensure your product or service stands out from competitive B2B content, you need to get the right message to the right customers at the right time. A truly effective and proven method to achieve this is through content syndication. Sharing your content across the internet can drastically improve customer engagement and produce better marketing results. Find out how with this comprehensive whitepaper. To discover how Bython can help you with Content Syndication, go here or contact us today. 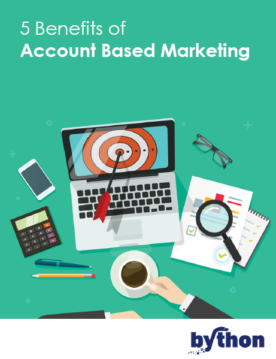 Account-based marketing (ABM) is where marketers focus on potentially higher-quality contacts by viewing each account as a market of one and personalizing every campaign. This enables marketers to not only nurture the value of each prospect, but also drastically change the effectiveness of their marketing efforts. Download this revealing whitepaper to discover how you can do it too. go here or contact us today. It is essential that you properly nurture and identify leads. 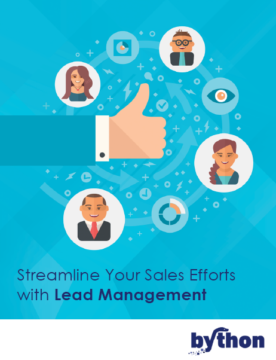 Lead management does that by helping developing relationships with clients at every step of the sales funnel, focusing your marketing efforts on listening to their needs, and providing them with information and answers when they need them. Learn how it can streamline your marketing and sales efforts with this instructive whitepaper. To discover how Bython can help you with Lead Management, go here or contact us today.